You may very well have noticed the fact that I can't stop painting pears. 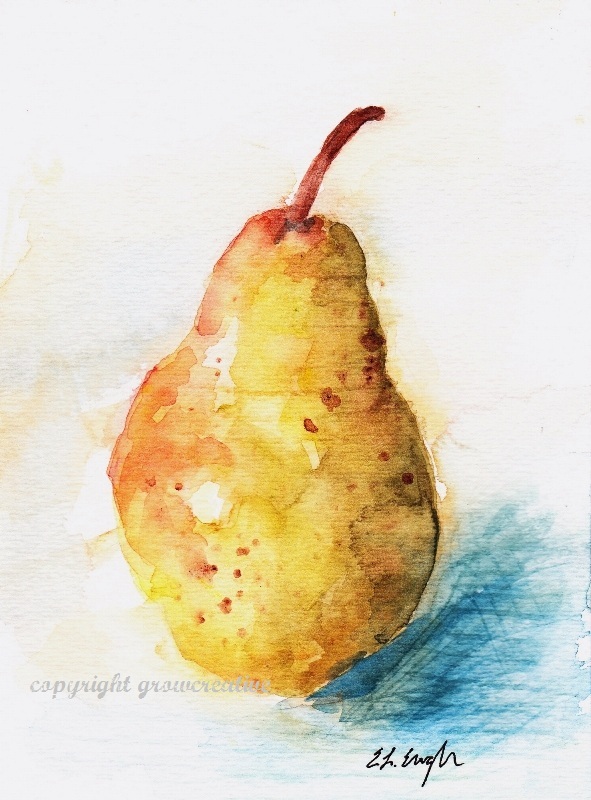 I try lots of things in watercolor, but in the end, I always come back to my pears. They are so lovely! These two paintings are of the exact same pear, I just interpreted it differently in each painting. Which one do you like best? #1- more true to life OR #2- a little abstract ? 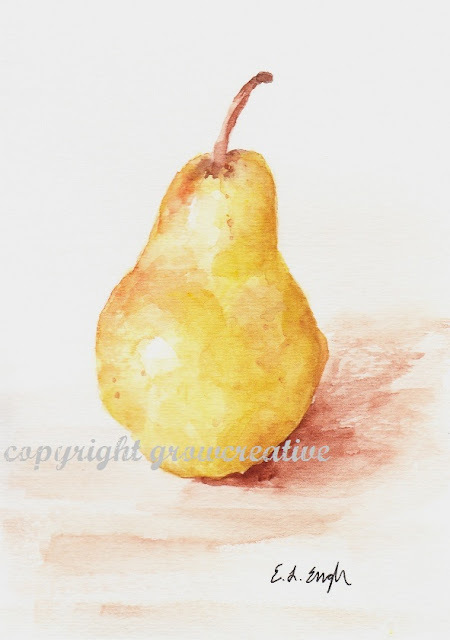 I also love painting pears, something about their color and shape. I love both pears, the first for simplicity, the second I like also, more drama. Great work! Ooh, these are my favorites so far. Perfect for fall! Wow - you are a fabulous artist. Both paintings are equally wonderful.